May marks the beginning of skin cancer awareness month, a campaign to raise awareness of the dangers of unprotected sun exposure, and with skin cancer being the most common form of cancer in the UK, despite being one of the most preventable, it seems a great cause to champion. Makebelieve’s passion for developing a skin-caring tanning range to complement a diversity of skin types has paid off. The range uses a unique blend of rainforest oils plus coconut oil, jojoba oil and shea butter leaving your skin feeling amazing. 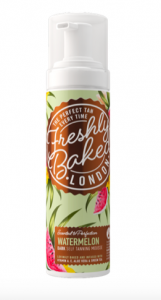 You will struggle to find another tan which is quite as nourishing as Makebelieve Beauty, especially at such a great price. amazing though – the colour is too, giving you a beautiful bronzed colour with no streaks. The premium organic tan that offers an odourless tan, Vita Liberata is the first completely non-toxic tanning brand free from all the bad stuff. They also have created the world’s longest tan, a 2-3 week tan, for no more tanning every couple of days! If you fancy a splurge this tan is definitely worth the hype. With an extensive range that is perfect for novices, St Moriz gives an instant colour and gradually builds up a natural glow over a couple of hours. 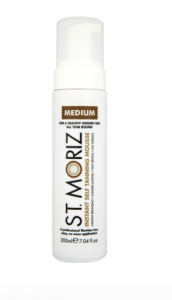 If you want to test out a new tan without breaking the bank, St Moriz is for you. The Australian tan taking the market by storm, if you haven’t heard of this brand where have you been? Offering an extensive range from moose to oil, light to dark it is not hard to find a tan that will suit you. Their latest release, the one-hour express self-tanning foam, has made sure you are always looking great. 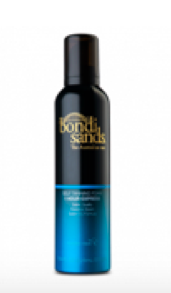 It has a hydro-active and quick drying formula which is infused with the scent of coconut. Slightly on the pricer side of tans but definitely worth it.